Options are available: telephones, cell phones and e-mail are all great ways to get in touch with family members. Make a decision about where you will meet in case you can’t get home during an emergency. Understand that it may take time to get through to everyone. Try to be patient. Needs of your pets should be kept in mind. Keep a pet carrier for easy transport. Inform yourself. Watch news broadcasts, read online news updates or listen to a battery-operated radio for official guidance during an emergency, but also prepare in advance. Copies of your emergency plan should be in your emergency supply kit in case you need to leave in a hurry. Ask kids to discuss their concerns and feelings. Do they understand the family plan? Take the kids to visit the “meeting spots” so that they are familiar and feel comfortable finding them on their own if necessary. Emergencies take many forms. Categorize different types of emergencies and discuss the level of concern related to each and how that is reflected in your family plan. That’s better than most but it’s still pretty dumb. You can tell they tried to come up with tenuous connections to each letter to make the acronym fit. It’s better than nothing, but it still doesn’t tell you effective ways of how you can communicate with your family during and after an emergency; it just tells you a few things to consider. Let’s see if we can do better, my Lovelies. That should be it. If there’s any other reason you’re communicating, you didn’t prepare your plan well enough. Expect that you haven’t prepared your plan well enough. Your plan needs to be adaptable. Go with the flow, dude. The goal is to plan for everything but you also have to make your plan simple and easy to remember and follow. If you’re planning for some eventual SHTF scenario such as a natural disaster, EMP/CME event, the collapse of society or the Cubs winning, your communication plan should be an intimate part of your bug out or bug in plan. If you’re just planning for how to communicate with your family in case of something like a fire or car accident or something, your communication plan will look different, but it should fit into the grand plan, Stan. There are five objectives for an effective emergency communication plan. I call these my Essential Elements of Effective Emergency Communication . Sounds pretty legit, doesn’t it? To be effective, communication has to be; Clear, Complete, Unambiguous, Concise, and Confirmed. Just to be complete, let’s make each of these five clear and concise, then you can confirm they’re unambiguous by reading your comments at the end of the page. (Aahh. You noticed me starting to use repetition to get you used to the words so they’re more easily remembered). Clear – Your communication has to get through somehow and they have to clearly get the message. That means not only hearing it clearly but understanding the intent of your message clearly. Remember, what you mean to say, what you say and what they understood you to say are three different things and if you’re not clear, they won’t be congruent. (we’ll wait here for a sec for the ones in the back who’re looking up the word congruent). So, by delivering your message clearly by your choice of words and medium, your message gets across clearly. If you’ll notice, I used the word ‘medium.’ I did that on purpose to illustrate a subtle point in communication. Your choice of words, however correct they may be, may not be the most effective. The word ‘medium’ in this case means the method of transmittal of the information – like a phone. As correct as that is, because it’s not a word in general use, it’s not really the best choice to be clear. This is especially importan t if you’re communicating to a person who doesn’t speak the language as fluently as you or through a means of communication that isn’t clear in how it’s sent such as a radio full of static. Complete – You need to mae sure that you tell the whole story. If you tell someone to meet you at a certain place, you need to tell them the time as well. If you are meeting up with them and they are assuming you have supplies that you don’t, it may be prudent to tell them then so they can adapt. Make sure you give them all the information they need to make informed decisions and not much else. Unambiguous – Ever had someone tell you to meet you at the Circle-K on Main Street at 4pm and as you sit there waiting, you get a phone call asking where you’re at because they’re at a different circle-K on Main Street? That’s a pretty obvious one there but sometimes communication is confusing in more subtle ways. If you say, “we’ll meet you at the Circle-K at 1956 Main Street at 4pm today.”, that’s more clear but who exactly is ‘we?” Don’t make the assumption that they know who you’re talking about, especially if they aren’t right in front of you for feedback; verbal or non-verbal. Concise – Once you’ve figured out how to get your message across clearly, you need to make sure it’s as concise as possible. Communications in emergency situations is sometimes spotty and people have other things on their mind such as getting out of danger or performing first aid. You need to make sure your message is as concise as possible – but not at the expense of clarity. If you can say something in fewer words and still get your point across, do it. Especially if you’re communicating over a radio. Confirmed – When you learned about effective communication skills in school (they still teach that, don’t they? ), you learned that feedback is important to make sure they heard and understood what you meant them to. 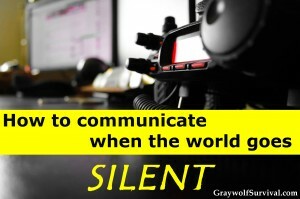 This is extremely important in communicating during an emergency as well because once you break comms, you’ll both be on your merry ways assuming the other is doing things based on the conversation you just had. If your message is understood differently, wouldn’t you want to know that? Nod your head up and down. Good. QUQ. Before you decide how you’re going to communicate, you need to know what and when you’re going to communicate. For this, you need to come up with an emergency plan, bug out plan, bug in plan, take-mom-to-the-hospital-because-the-contractions-are 30-seconds-apart plan, or whatever. This article is about your family’s Emergency Communication plan and not a SHTF or bug out plan or evacuation plan but a brief overview of basic SHTF plan theory is in order here. Your Communication plan should fit in intimately with your overall emergency plan. Let’s assume you’ve done a proper plan, and let’s also assume just to make things simple that it’s a bugout plan. 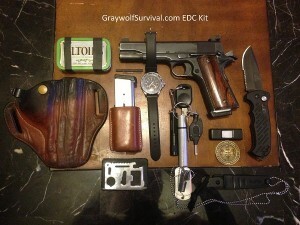 A proper bugout plan will have certain phases. These phases are designed so that once initiated, individuals in the group can function independently making certain assumptions of what the others are doing. Each individual will have a certain focus to what they’re supposed to do in each phase. These focuses (foci) should be planned out in advance and understood by all. If there’s a fire, you grab the kids and I’ll grab the beer, then we’ll both head outside and watch the lights and water show. A plan phase is a separation or division of the focus of events by time, space or purpose. These phases should support each other and be part of a progression from the beginning of a plan to its completion. Each phase should also have its own definition of the start of the phase and the end of the phase. There should be no ambiguity as to which phase you’re in so you have no ambiguity as to what each person should be doing. Phase 1 could be getting in touch with everyone to find out their current location and status once an emergency situation has been identified. Phase 2 could be heading to the rally point. Phase 3 could be reaching out to extended family, etc. You can certainly complete items designated for a different phase, and you should if the opportunity arises, but the main focus of what you’re trying to accomplish at that point may be different. Don’t hang up on Grandma if she calls after a tornado because you’re in phase 2. Essentially, something has to get the ball rolling. Your plan will have certain triggers that will initiate the plan. This is to alleviate ambiguity and allow for individuals to operate independently as much as possible, cutting down on the communication and coordination required. These triggers must be well-defined. You don’t want to start running for the BOL (bug out location) because the TV loses signal. It may not have been a high altitude nuclear EMP from North Korea that causes it. Just think it through. Once you’ve gotten the ball rolling and you’re #$#%-deep into phase 1, at some point, you’ll need to communicate with someone else. This may even be the first step of phase 1. In my case, I like to actually call this phase zero. I reserve a phase zero in my plans just so I don’t look stupid. Phase zero is the let’s-make-sure-that’s-really-a-zombie part of the plan. Establishing comms with your group is a good idea during phase zero or you may overhear the mad giggling of Cousin Elmer as he’s doing double-taps to the head inappropriately. Now that we’ve learned what the essential elements are, it’s time we got right down and learned how to actually put them into practice. There are four major categories to communicate with people that we’re concerned about: Personal Communication, Impersonal Communication, Tele-Communication and Coded. I was just going to tell you about the first three because coded communication can be used with all the rest but figured it’d be easier for you if I put it all together. Personal Communication – This is basically when you can see the person you’re talking to. All this can be a bit fuzzy because technically you can skype someone so it’s personal communication and yet telecommunication, and you can record a video so it’s impersonal but you can still see them, but don’t think so hard about it. If you can reach out and tweak their nose as they’re explaining their shortage of ammo, it’s personal comms. Personal communication can be both verbal and nonverbal. There are different forms of verbal and nonverbal communication but we’d be getting a bit off-track and I have stuff to do. It may seem at first that there isn’t much to consider with Personal Communication because you’d be right in front of them, right? Well, you have to be right in front of them. This can be pretty difficult but the concept is pretty simple. If you need to communicate with someone in person, you have to set up a time and place for them to be. This time and place can be a one-time event, a periodic event, or a conditional event. -One-time event. This is just like it sounds. For a purely one-time event, you have a time and place set up in advance. This is pretty much most of the ad-hoc meetings that you already do. So, this part of the commo plan is very CCUC and C. It should be very clear to whomever the Enya fan is, all the details they need to know. You don’t have to have every box checked, just do what’s necessary based on the circumstances. You need to make sure that they understand when and where to meet and what to do if something happens. From that point, you can sit down in person and discuss what you need to. -Periodic event. This requires the same information as above but instead of just the one-time 9pm to midnight this Friday night as in the example above, you’ve set it up to meet them every Friday night between 9pm and midnight. Good luck with the wife. -Conditional event. This one isn’t time-based like the previous ones. An example of this one is meeting at the hospital when the baby’s due. The same rules apply though, you need to set the conditions of when you’re going to go, which hospital, where in the hospital, and all the rest. Some things can be adjusted on-site depending on the circumstances but be clear in your plan what those things are. Impersonal Communication – This is communicating when you and they aren’t at the same place at the same time and it’s not simultaneous communication. If you leave a note on someone’s pillow, it’s impersonal communication. Very impersonal. You have to watch your OPSEC or you’ll have a lot of uninvited guests. If your method of communicating is too specific (like a note on a door), everyone will know what’s going on. If it’s too vague, it’s because you didn’t plan accordingly. Someone or something may interfere with your method after-the-fact so your message might not get through. If you happen to be using a particularly lovely ribbon, a hobo may steal it. 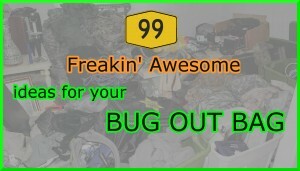 Be careful that whatever you’re using for them to recognize isn’t too unique or something you haven’t already acquired. If you lose it or can’t get a hold of one, you can’t tie it to the tree, now can you? Make sure you’ll be able to accomplish the steps required to communicate. If you don’t visit mile marker 15, you may not know that there’s an electric fence around it or that there’s a sign nearby expressly forbidding yellow ribbons from encircling that particular species of oak. Make sure the person who’s going to be receiving the information can actually receive it. It doesn’t do any good to tie the ribbon around a tree that’s not visible from the road. Telecommunication – For our purposes, this is basically using communication communicating with someone when you’re not right there. Technically, telecommunications is communicating with any form of the electromagnetic spectrum. Cell phones, ham radios, GMRS, CB radios, and flashing headlights are all forms of traditional telecommunication. Beating a drum or tap code both use soundwaves, which aren’t part of the electromagnetic spectrum but since ‘tele-‘ actually means distance and not electromagnetic, I hereby call beating a drum or tapping a code to someone as telecommunication for the purposes of this lesson. A cell phone is typically what’s used for telecommunication; either by voice or text. That’s not always possible though. CB radios have been used for decades but their range is limited. Plus, they’re creepy. One of the best ways to communicate in an emergency is by ham radio. It does require some learning and you have to get a license for it, but as you can read in my post about when I got my ham radio license, it’s not all that difficult. Coded Communication – For the purposes of learning emergency communications here today, coded messages are just messages that you send to someone so that the two of you understand what’s being said but anyone else overhearing or overseeing will either think you’re saying something different or that you’re not even saying anything at all. It’s simply some form of subterfuge in your communication. Don’t give me all that code vs cypher blah blah blah. I know. Different post. If SHTF, you don’t want others knowing what you’re planning. Coding your communications is a part of how your Emergency Communication Plan fits into your OPSEC Plan. The yellow ribbon example above could be considered coded communications because no one knows what it means (basically it comes down to whether you were trying to deceive someone or hide your communication and not just that it was expedient). To communicate in code, whether it’s in-person, impersonal or by telecommunicating, you should have a few coded words that are laid out in your communication plan right from the beginning. The more complicated your coding is, the more difficult it would be for someone to know your plan but a complicated plan is harder to remember and easier to mess up. Plus, if you get overly-complicated, you’ll give away the fact that you’re talking in code. That’s called an OPSEC Indicator. If done properly, you should be able to communicate a CCUC and C message (see above if you’ve already forgotten what CCUCC means), and no one will know that you’ve done it. The word ‘movie’ mentioned at any point in our conversation means that I’m speaking about a party coming up. If I ask you a question in the sentence, I am asking if you can make it to the party. If you can make it, respond with a yes-type of answer. If you look, you can see that this plan can get really complicated, really quickly. I recommend keeping things as basic as possible and as flexible as possible. If you notice, the first letter of the name is the first letter of the day of the party. The plan also dictates very little in the conversation. If you require that a certain phrase is said, you’ll not only have to memorize several phrases, they may sound out of place in a conversation. Also, you’ll see that he confirmed that not only his buddy could make it, by giving the answer he did, it is clear that he understood that a message was sent. This is a very important point in coded conversations that are natural-sounding. If you don’t build in some kind of confirmation, you may think he got the message but in real life, he’s sitting there wondering who the heck Freddie is. Now that you understand the basics of the plan, it’s time to start talking about what you should factor into your actual plans. You do understand the plan, right? If not, that’s what the comment form is for below. It’s a form of communication. Can you figure out which? I’m not going to be able to give you an actual plan because I have no idea what your OPSEC Plan is our your bug out plan, or whatever plan you’re trying to support. There’s an acronym that’s used everywhere when it comes to planning. It’s called PACE. Show of hands for everyone who knows what PACE stands for. Bueller? … Bueller? 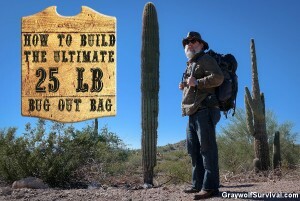 You should consider these in not only your SHTF plan but also your communication plan. It’s a very simple concept. Primary. This is just the Plan A of whatever you’re trying to do. Your primary communication plan for one phase could be to call by cell phone. The primary should be the best plan and one most likely to succeed without unintended consequences, such as uninvited drunks to your house. Alternate. Your alternate plan, if possible, should be just as viable as your primary plan but just another way to do it. If one alternative isn’t quite as good as the other, it should be your alternate. Contingency. This is what you’re going to do if something messes up. Maybe that hobo followed you home and stole your cell phone but you mistakenly made both your primary and alternate plan of communication dependent upon using a cell phone. In whatever case, if it’s not something critical, you should use your contingency plan. That’s why they call it a contingency plan. Another part of your plan that could deal with contingencies is what’s called Bona Fides (pronounced bonah fye deez but I’ve usually heard it pronounced bona feedeez). If your team were separated for example, or had yet to team up, you or they might bring on different members – or you might already have a loose group that not everyone knows everyone. In this case, you need some way to know that the other person is who they say they are such as a code word, symbol or thing they carry. Just remember that a bona fides system should go both ways so they know who you are too. I’m not gonna go too deeply into bona fides tho because some methods are classified but you should be able to find ways out there on the web or in books like Spycomm: Covert Communications Techniques of the Underground. One example that gangs have used is Ultraviolet (UV) tattoos. If someone had a UV tattoo of the right thing or on the right part of the body, you could assume to some degree that they were with your family or group. If you pulled out a blacklight looking at that location or for that symbol, they could assume to some degree that you were also. Obviously any bona fides could be compromised but they’d have to go to a lot of trouble to do that, and your group would have had to break OPSEC. A UV tattoo is a good example because under normal conditions if they’re incorporated correctly, no one would know that they had it except someone who knew to look for it. Emergency. 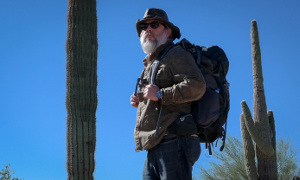 This is what you do if SHTF and you need to initiate the plan, or communicate, and not have to follow the requirements of your primary, alternate or contingency plan. Instead of calling on the cell phone, your emergency plan may be to go directly to their office and bang on the door until they let you in to talk. Ham Radio. A ham radio, in my opinion, is hands-down a necessity for SHTF communication. Go get your freaking license if you don’t already have it. One problem is that there are a lot of frequencies and conditions that affect its effectiveness. I’m not going to go into that too deeply because you could have a whole blog on nothing but using a ham radio for Emergency Communication . There are also a LOT of hams out there who’ve planned for emergencies. Here’s what I suggest about ham radio for your emergency communication plan. Get the highest level of license you can. Higher licenses mean more available frequencies. Join ARES, RACES or another group designed to help the community by using amateur radio in emergencies. Establish friendships on certain frequencies that you could reach out to if need be. A lot of hams like to frequent certain frequencies frequently. Don’t wait for an emergency to start figuring out how to work your ham radio or its associated equipment. Use it frequently. 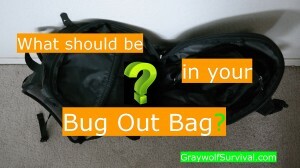 Make communication a part of your bug out bag plan. Pack a hand-held radio, have extra batteries for radios and cell phones, have a backup charging capability for your batteries. There are certain frequencies that are understood by some to be used in case of emergency, but these are not all hard-and-fast rules. 39.46: Used for inter-department emergency communications by local and state police. 121.50: the international aeronautical emergency frequency. 151.625: used by businesses that travel about the country. 154.57: used by businesses that travel about the country. 154.60: used by businesses that travel about the country. 154.28: local fire department emergency channel. 154.265: local fire department emergency channel. 154.295: local fire department emergency channel. 155.160: used for inter-department emergencies by local and state agencies during search and rescue operations. 156.80: international maritime distress, calling, and safety channel. 163.5125: national disaster preparedness frequency used jointly by the armed forces. 164.50: national communications for the Department of Housing and Urban Development. 168.55: used by civilian agencies of the federal government during emergencies and disasters. 311.00: in-flight channel used by the U.S. Air Force. 317.70 used by U.S. Coast Guard aviation. 319.40: in-flight channel used by the U.S. Air Force. 340.20: channel used by U.S. Navy aviators. 462.675: used for emergency communications and traveler assistance in the General Mobile Radio Service (GMRS). The If-All-Else-Fails communication plan. You should set up a plan in case all hell breaks loose and your other plans completely fall apart or something happens that your communication plan didn’t consider. You need some kind of fall-back. Imagine the worst-case TEOTWAWKI scenario; cell phone usage goes out, traffic is jammed everywhere, roadblocks are set up, whatever. You need ways to communicate. You need several contingency plans. This should all be covered in your overall emergency, bug-out or SHTF plan but there should be an emergency communications element to it. Establish several locations where you could leave some kind of message (like the yellow ribbon) that you could visit without being noticed and no one would give any thought to whatever you leave there. These locations should be established in advance but spread out a bit in case you can’t reach them all. The message you’re sending could be that you’re ok and what location you are headed to, for example. Set up a periodic radio transmission schedule that covers several frequencies. You need to cover different frequencies because you don’t know what the others will be able to listen or transmit on and different frequencies act differently with certain atmospheric conditions. Set up a couple of frequencies in a few different bands and a schedule such as ‘starting at noon every day, you’ll transmit and listen for five minutes on each of these 6 frequencies.’ Then all they have to do is somehow get to a radio and listen in on one of those frequencies. Set up your plan so that you could provide useful information even if only one of you can transmit. Remember your OPSEC. Go over different scenarios with your family during and after you’ve made your communication plan. Not only will you fill in some missing pieces of the plan that you didn’t realize, you’ll also all get an idea of how each other thinks so you can anticipate what they will do. Practice your plan! Actually go out and do the stuff that you sit down and come up with. You’ll find very quickly that a lot of things sound good while you’re sitting at the dining room table typing away on your laptop but don’t work worth a hill of beans in the real world. Make an emergency contact list for everyone. If they can’t get a hold of you, they need to get a hold of someone. Make sure every person in your family/team/whatever understands every part of the plan and can do each part. You need to all get licensed for ham radio if that’s going to be part of your plan. Look into several other communication systems for your plan such as GMRS, The Family Radio Service (FRS), Multi-Use Radio Service (MURS), satellite phone and CB Radio. I’ve uploaded a free .pdf on disaster communications by Doug Smith in case you really want to get serious. Well, you should have enough tools in your family Emergency Communication plan toolbox now to be able to make some kind of plan. Just remember, the plan I’ve been talking about for the past while (I typed slow so you could understand it more easily) may be a lot more thorough than you’ll need. Don’t make it overly-complicated. Make it just as complicated, and have just as much stuff as it needs to, and no more. Holy smokes, what a great, detailed, informative post. And you’re funny, which in this kind of article, is a total bonus. Thanks so much! Thanks Kristy. I’ll be writing quite a bit more on comms in the near future, especially about ham radio. Just found your website and I haven’t stopped reading it for 2 days. I got a C word for Unambiguous and I think Certainty would work in the way you want to use it. Unambiguous, Exactness, Accuracy, Certainty, Crystal Clear. Man this is amazing. Thank you i need this to study. Great well thought out run down. Thanks man. gave me a couple things to add to our plan. Very interesting stuff as I start to develop an emergency preparedness plan. My problem is that we can at times be in two very different places (me in the US and her in Cent America. So I am working on good (essentially phase zero) self-initiating ways to determine when to bug out and when to stand still and ride it out apart until things settle if such a major event occurred. Some good ideas here and look forward to going deeper.